In addition to our in-depth tours 6 days a week, The Cannonball House also hosts special events and exhibits throughout the year. Stop by and visit us today! 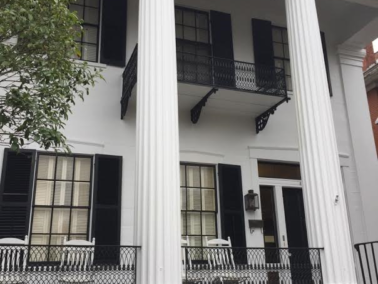 Listed on the National Register of Historic Places, the home was built in 1853 as a planter’s townhouse and was named for damage sustained during the War Between the States. The Cannonball House is devoted to acquiring, conserving, interpreting, and exhibiting artifacts reflecting Georgia’s heritage from the antebellum through reconstruction eras. We strive to engage and inspire community members and visitors by presenting authentic and entertaining educational programs, exhibits, and special events through a wide range of history. The Friends of the Cannonball House, Inc., is a non-profit 501 (C) (3) organization and does not receive any public funding. Tax deductible membership contributions are essential to Day-To-Day operations and make it possible for the house to plan and budget wisely. We strive to be excellent and faithful stewards of your gifts, and we are deeply grateful for your generosity.